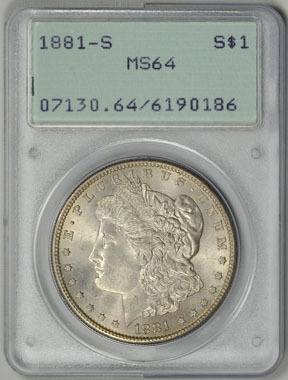 In this post I challenge the conventional wisdom that coins slabbed by PCGS between 1986-89, in what we now call “old green holders,” are under-graded and therefore should bring higher prices. 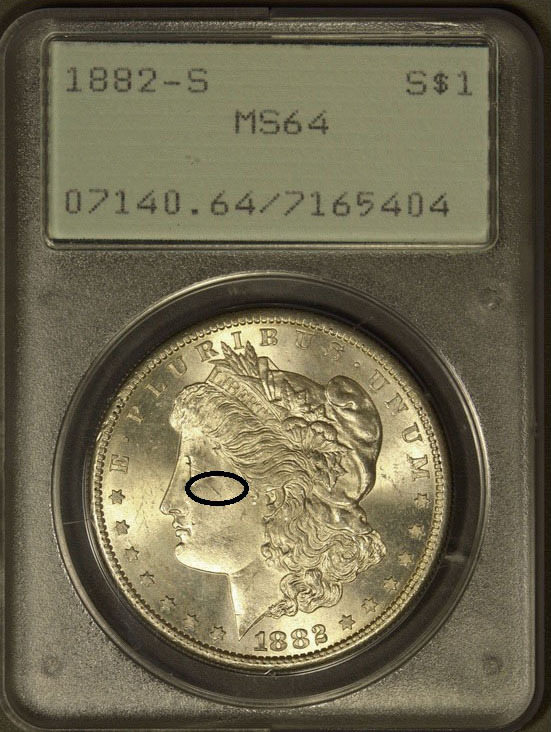 For example, the 1881-S Morgan dollar below has a rim mark on the cheek (which almost always assures MS62-63) with scruffs and hairlines from 6 to 9 o’clock on the obverse. It is not MS64 by today’s standards, although you may be asked to pay MS65 prices, merely because it is in an OGH. I am reluctant at times to purchase so-called “Rattlers” on the Internet where I cannot inspect them close up. There are a couple of explanations for this. One, which I cannot fact-check, is that the majority of coins in OGH actually were under-graded but those for the most part have long since been re-slabbed in attempts for higher grades, thus leaving the inconsistent grades that are the topic of this post. Another explanation, which appeals to common sense, is that David Hall in 1986, when PCGS was founded–promising consistent grades in durable holders that could trade sight-unseen–had founded the service, hired more graders as the service became popular, and a few of those graders just weren’t consistent as they are today. You can do the same experiment with fatty NGC holders, believing those coins can be resubmitted for certain upgrades. Not really, again perhaps because the best already have been resubmitted or that its graders also were starting out and flubbed a few grades on the path to regular consistency. 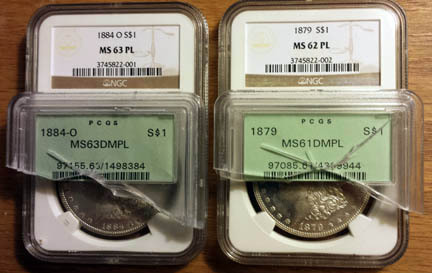 I recently cracked open two coins from later generation PCGS green holders and submitted them to NGC. 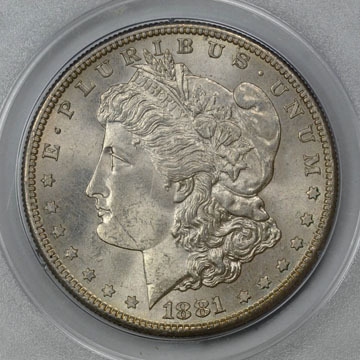 The 1884-O MS63 DMPL came back from NGC proof-like at the same grade and the 1879 MS61 DMPL came back MS62, again proof-like. I know that inconsistencies still exist, of course. We all have evidence and tales. But the more one grades and becomes adept at submitting coins, the more one sees that both services are pretty true to their labels. We may be disappointed by a few grades, but we also can see the point if we know each company’s grading standards. We just would have erred on the higher side, is all. Increasingly, though, I am becoming irked at eBayers selling Rattlers at retail prices for the next grade up. 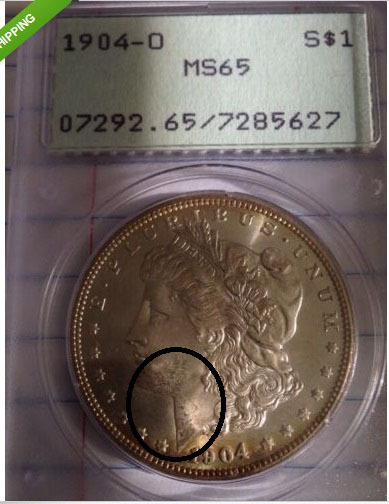 This bagmarked and scruffed 1883-O MS63 Morgan ($64 retail) may be overgraded–looks MS62 ($47) to me–but the seller wants $95. The MS64 is about right for this coin. The point of this post is to learn how to grade rather than rely on coin book “tips,” long outdated, about buying coins in OGHs and then sending them in for an upgrade. You can learn about grading by reading each company’s standards, viewing hundreds of coins, and submitting them yourself. Here’s PCGS grading standards. Here’s NGC grading standards. I usually rely on PCGS Photograde Online. 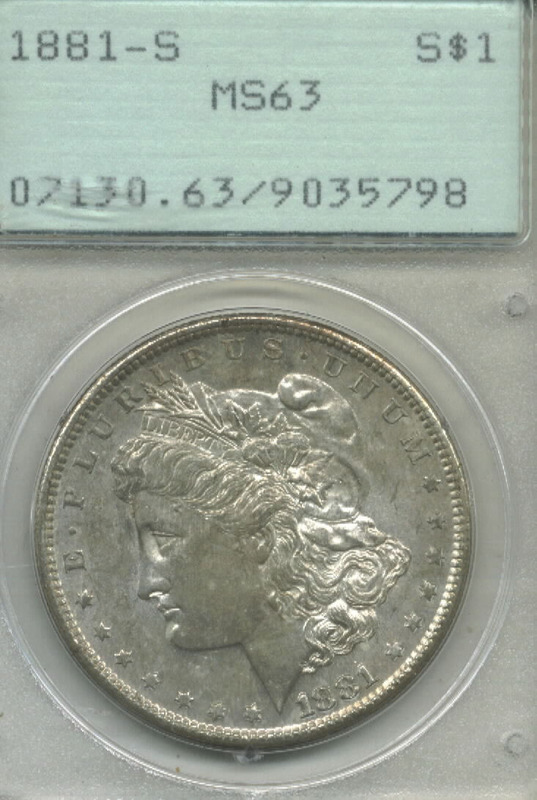 Is it possible that the 2 coins that you broke-out and submitted (that had been DMPL in their c. 1989 slabs) had toned sufficiently over the 15 years that the deep mirrors were obscured enough to warrant the PL designation? I think that is a distinct possibility. Good call, Gary. Thanks so much for your comment. One question: the Morgan at the very bottom listed as MS64 appears to have a scratch on her chin. But at the top, you mention another one that has a cheek scratch and think that it should be an MS63. Is this a discrepancy or other factor(s) involved with the MS64? Thanks again for continuing to expose the foibles and fallacies associated with our collecting interests! You know, I looked at that photo again and thought it could go either way. But I like your good eye and yield this one to you. Thanks for your contribution, RVNMedic! very well said. I couldnt agree more. Thank you for taking the time to share this with us! Thank you so much, Joe, for your comment. I put a lot of research into these pieces, and it’s so meaningful when a viewer likes the end product! 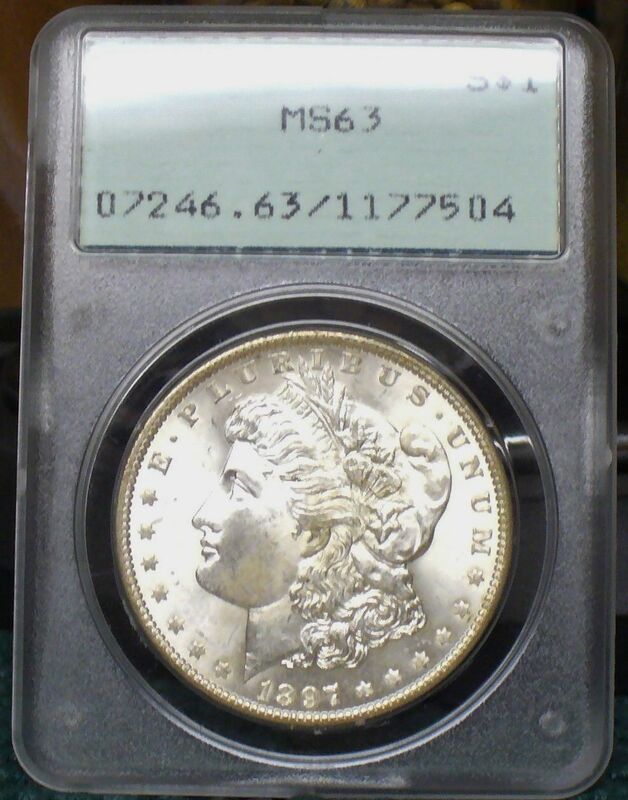 Michael, I recently acquired an 1882-P Morgan Dollar graded by PCGS as an MS-64 in an Old Green “Snap-Away” holder. 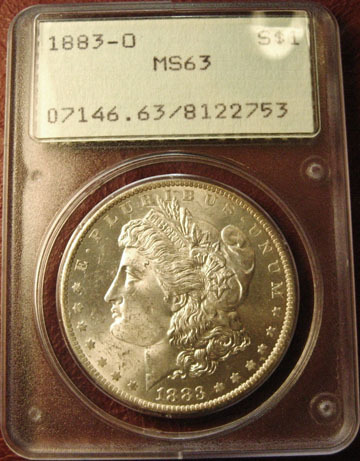 I only collect Morgan Dollars and have been doing so for 20 years. I began being interested in OGHs about three years but had never heard of the “Snap-Away” holder until I purchased this one from a dealer friend of mine. I have not figured out how the “Snap-Away” feature works and am afraid to try to open the case. Have you heard about or seen one of these and do you know how they work?? I understand this type holder was not produced for very long. Where can I get some history/information on them? I want to do a “show and tell” at my coin club but need more information. Thanks in advance for your help/comments. Just contacted Don Willis at PCGS. He never heard of the snap away holder, so that is a story in itself for your coin club. 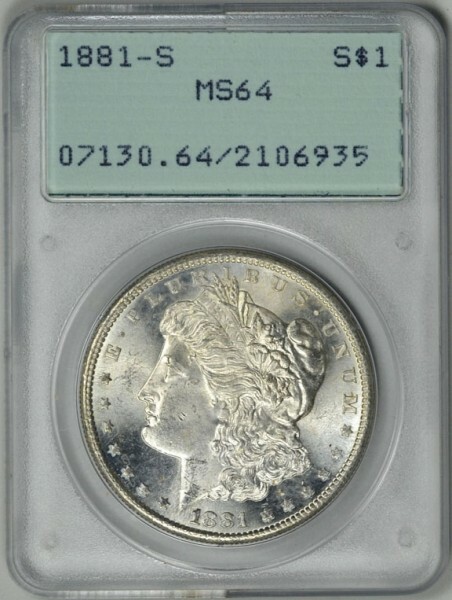 “Snap away” is a mis-used term for the PCGS 2.0 holders. They are the rattler style holders with an extra piece of plastic around them to mock what the current look is. A larger holder with tabs in the corners so they are stack-able. These holders do not actually come apart unless you broke the outer plastic piece, then the actual holder (looking like an older rattler, but with out the coin actually rattling around) will be intact. The 1942 T2 nickel and teh 1942 Lincoln cent in this lot are both in two piece holders. Thanks for writing and providing more information. We really appreciate that!